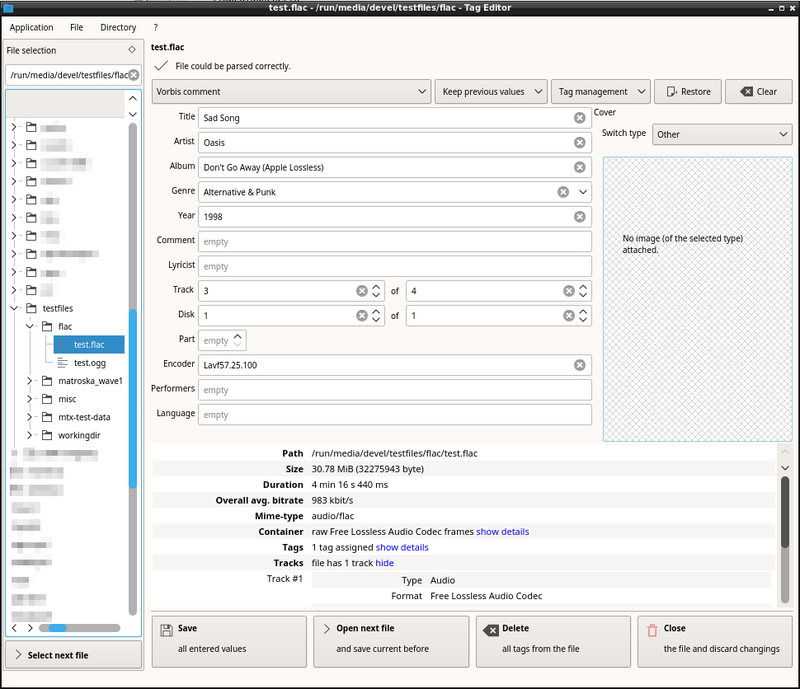 A tag editor with Qt GUI and command-line interface. Supports MP4 (iTunes), ID3, Vorbis, Opus, FLAC and Matroska. The tag editor can also display technical information such as the ID, format, language, bitrate, duration, size, timestamps, sampling frequency, FPS and other information of the tracks. It also allows to inspect and validate the element structure of MP4 and Matroska files. Install-ChocolateyShortcut -shortcutFilePath "$env:Public\Desktop\$shortcutName" -targetPath "$exeTarget" -WorkingDirectory "$toolsDir\"
Install-ChocolateyShortcut -shortcutFilePath "$env:ProgramData\Microsoft\Windows\Start Menu\Programs\$shortcutName" -targetPath "$exeTarget" -WorkingDirectory "$toolsDir\"
The original file mingw-w64-tageditor-static-version-any.pkg.tar.xz was extracted using WinRAR as the version of 7Zip that comes with Chocolatey could not extract it. A few build files were deleted. This discussion is only about Tag Editor (Portable) and the Tag Editor (Portable) package. If you have feedback for Chocolatey, please contact the google group. Tell us what you love about the package or Tag Editor (Portable), or tell us what needs improvement. Deployed from e27d7a207f. You are on web.4. UTC time is currently 19 Apr 2019 03:24:30 +00:00.